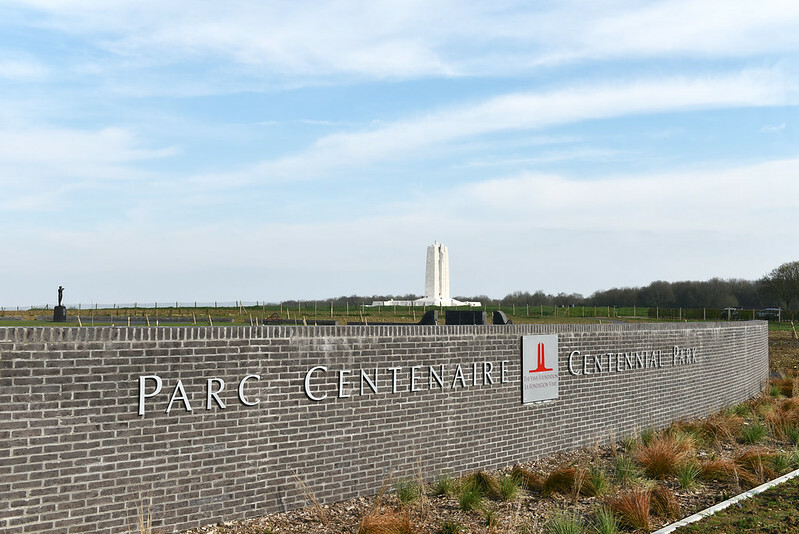 As a centennial project to mark the 100th anniversary of the Battle of Vimy Ridge as well as the 100th anniversary of the end of the First World War, the Vimy Foundation has created the Vimy Foundation Centennial Park, adjacent to the Canadian National Vimy Memorial in northern France. 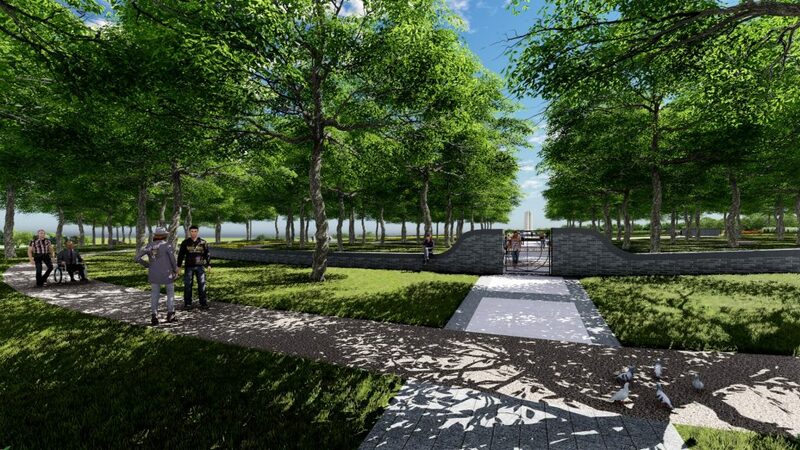 This 4 acre commemorative park complements the surrounding area and will be a reflective space for visitors to Vimy. Built on private farmland purchased by the Vimy Foundation, the land has required extensive demining and preparation prior to creation of the park. On November 9, 2018, two days before the 100th anniversary of the end of the First World War, the Vimy Foundation opened the gates to a modern living memorial in commemoration of the centenary of the armistice of the First World War. Read the full release about the Opening of the Vimy Foundation Centennial Park by clicking here. Photos from the opening of the Vimy Foundation Centennial Park – November 2018. Click here to learn more about this project, including key dates, and download the Design Competition Brief. 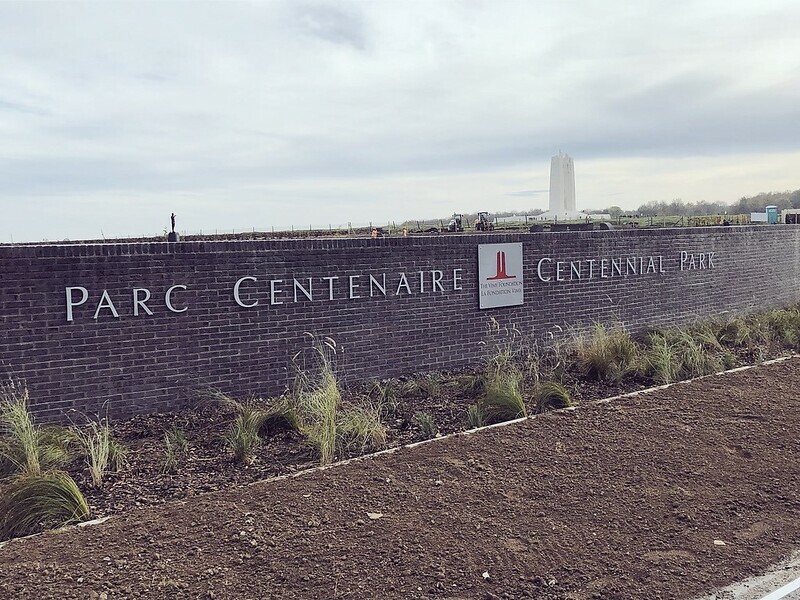 The Vimy Foundation Centennial Park is designed as a place for reflection about the role Canada played in the First World War and an opportunity to honour the Great War generation. All elements of the park have been carefully chosen. Design by Linda Dicaire, Landscape Architect. 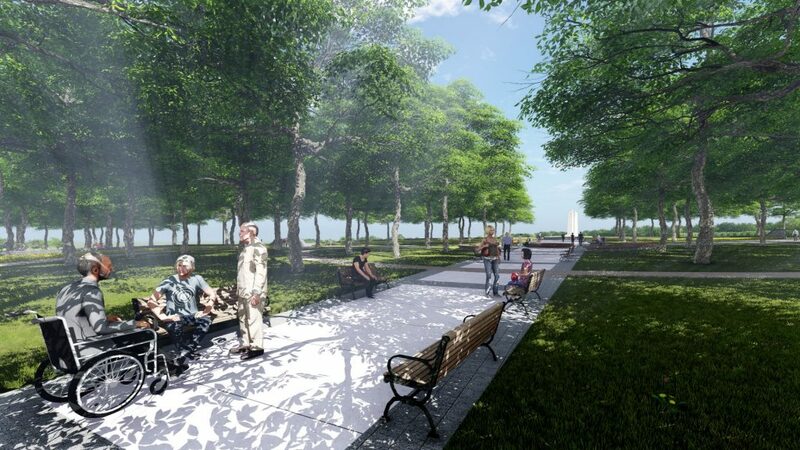 The Centennial Park will feature 100 Centennial Trees dedicated to Canadians. The repatriated Vimy Oaks (Read more about the Vimy Oaks here) commemorate the living spirit of those who fought and testify to the intimate relationship between people and nature even in the most tragic circumstances. The four rows of trees in the centre circle commemorate the four Canadian divisions that participated in the battle in 1917. Each Centennial Tree is available for $10,000 and will feature the donor’s name on the Centennial Park plaque. Click here for the list of current Centennial Tree donors. Proceeds will support Vimy Centennial Park and education programs of the Vimy Foundation. *Limited number of Centennial trees remain* Commemorative Vimy Oaks are also available for purchase to plant in Canada at $1,000 per tree. 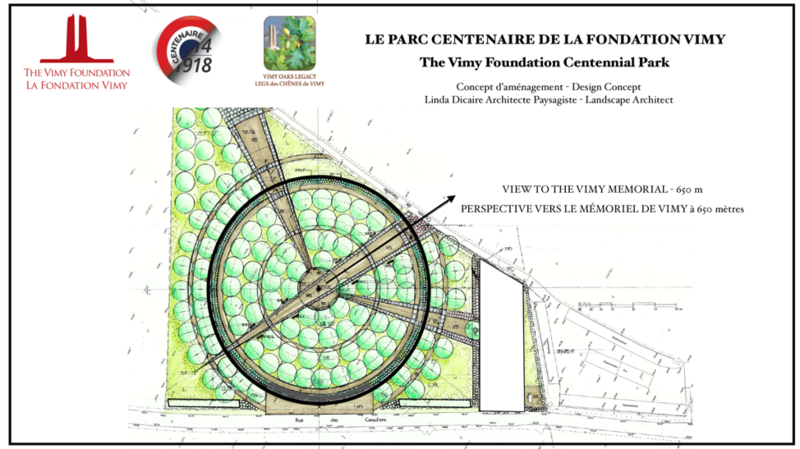 Artist’s rendering of The Vimy Foundation Centennial Park designed by Linda Dicaire, Landscape Architect. 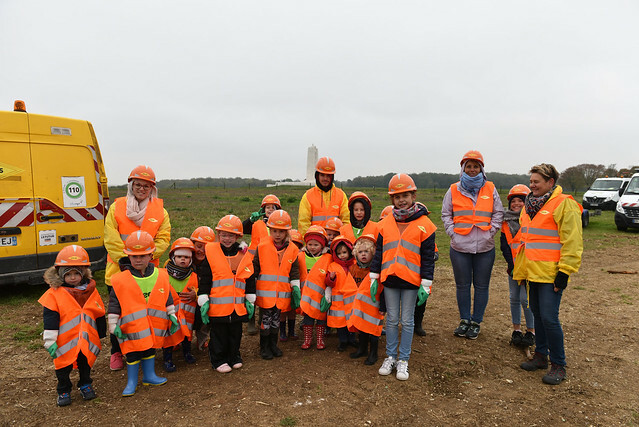 On October 29, 2018, French children from the nearby town of Givenchy-en-Gohelle assisted with the planting of the Vimy Oaks at the Vimy Foundation Centennial Park. Thank you for your help! Click the image below to view the photos. Camp Borden was founded in 1916, training nearly fifty thousand soldiers for service in The Canadian Expeditionary Force. For many of those soldiers, their first action was during the Battle of Arras, and specifically the Battle of Vimy Ridge. The Memorial Sculpture of the Bugler is generously provided by CFB Borden. 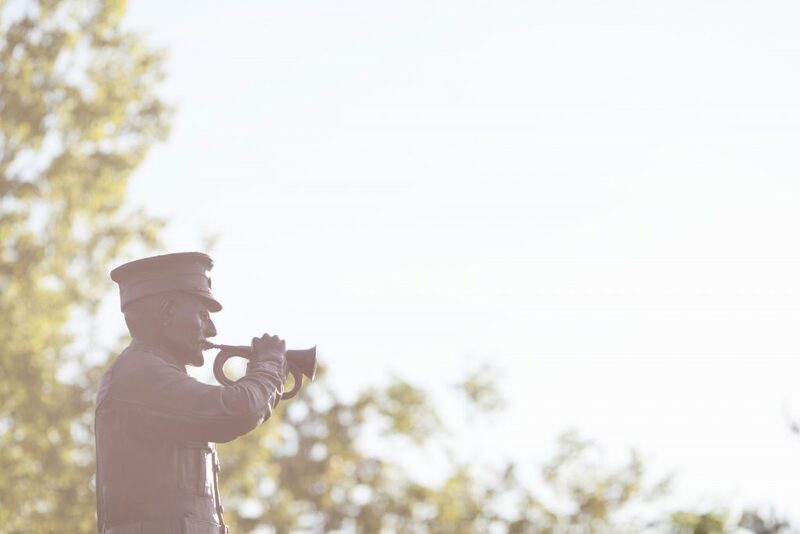 The Memorial Sculpture of the Bugler, designed by the Canadian artist Marlene Hilton Moore, invites visitors to reflect on moments one hundred years earlier, as the bugle call rang out at the dawn of morning of April 9, 1917, and again on November 11, 1918 at the beginning of peace. A twin Bugler is installed at CFB Borden in the Borden Legacy Park, calling to the now-empty trenches that once trained soldiers before they left for battle overseas. 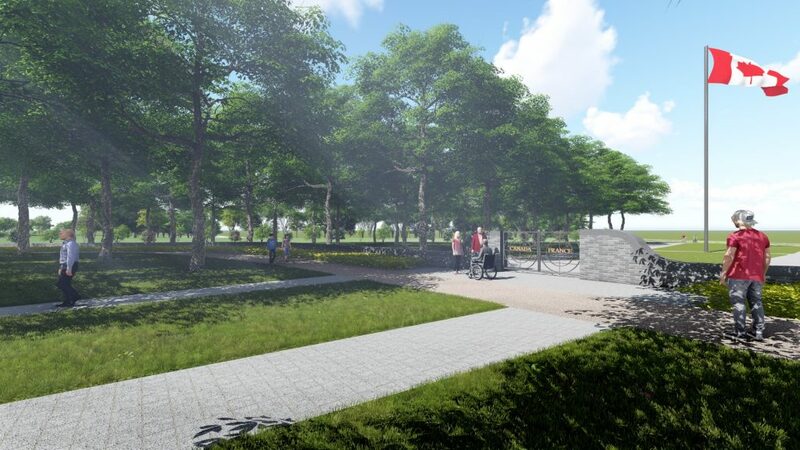 Read more about the Borden Legacy Park here, created for the centennial anniversary of the establishment of Base Borden. Bugler Memorial Sculpture at CFB Borden. Karen Girling, Bruce MacLellan, Ally and Sara, in memory of those who served. In memory of their valour and their bravery. The people of Manitoba, Canada will never forget the many who fought and died for our freedom. The Government of Nova Scotia commemorates Nova Scotians who served, and continue to serve Canada. We shall never forget their service and sacrifice. In memory of Helen Allen Stacey who connected thousands of needy children with adoptive parents and Col. C.P. Stacey, professor and official historian of the Canadian Army in the Second World War. Remembered by their loving families and friends. The Cadets of the Eastern Arctic. Thank you for your Gift of Freedom. From the Capern Walimaki Family, in loving memory of our ancestors who sacrificed for us all. Costigan family, in memory of Major John Francis Costigan, 50th Battalion infantry. April 4th 1917 Canada. In memory of the brave souls who fought for our freedoms. We owe you immeasurable Gratitude. The Galt Family. Mr. & Mrs. S. Mehta, Mississauga, ON, in memory of our beloved servicemen who paid the ultimate sacrifice. Requiescat in pace. The Knights and Dames of the Order of St. George Canada. We Will Remember You. To purchase a Centennial Tree or Bench and support the Vimy Foundation Centennial Park and educations programs, please contact us at info@vimyfoundation.ca or 416.595.1917.